Easy-to-read log sheet views highlight efficiency problems. Centrifugal Water Chillers can account for 20% to 40% of a facility's total energy consumption. A Centrifugal Water Chiller can lose as much as 30% efficiency and still appear to be operating satisfactorily! Assuming 15% efficiency loss = $191,250 in WASTED ENERGY! Chiller logs are routinely taken, but analysis of the data is difficult  so problems may not be identified in a timely manner. In many plants the assumption is made that if the chiller is running and the building is cool that everything is OK! 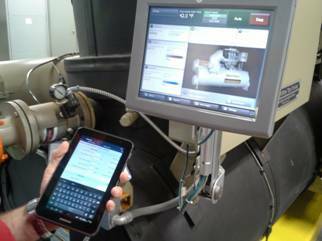 Take readings using a PDA, Tablet PC or using AutoLog input readings directly from your Building Automation System. Load data to the ChillerCheck web site. Review efficiency analysis and take corrective action if required. ChillerCheck.com is a product of Chillergy Systems LLC. All content and code copyright 2001-2019, Chillergy Systems LLC.